Robot Launch 2014 – announcing the Top 30 – LET'S TALK ROBOTS! Are you ready to find out the semifinalists in our first Robot Launch global startup competition for robotics? With 76 applications from 19 different countries, and entries covering industrial, service and consumer robotics, it’s clear that robotics is entering a period of strong growth. The judges did not have an easy job but here are the TOP 30! 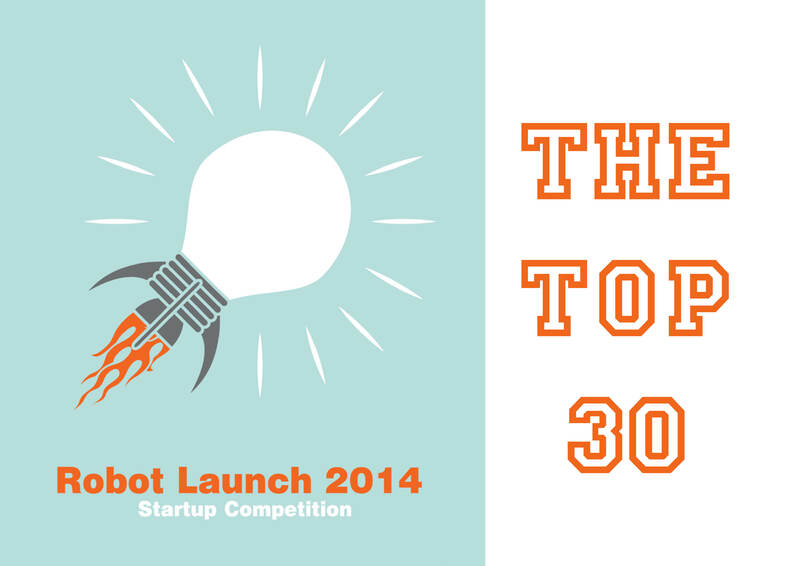 All the judge’s scores were totaled and the 30 startups with the highest cumulative scores have progressed. All the startups in the Top 30 are eligible for awards, with the top 8 going through to a live online final judging event. Over the next few weeks, we’re going to feature all of the Top 30 with a poll, so that Robohub readers can vote for the ‘Robohub Readers Award’. Next week we’re going to revisit some of our first round favorites – startups that really impressed us for a whole range of reasons but sadly didn’t move forward at this time. A very big thank you to our judges who gave up their whole weekend (or longer) out of a belief in the potential of the robotics community. Bringing their expertise to the Robot Launch competition were representatives of several major VC and investment firms, engineering consultants, designers, IP lawyers, specialists in enterprise technology, crowdfunding and robotics, including several successful robotics entrepreneurs.